Who’s definition of health are you holding? I used to hold society’s, my doctor’s, and my shame all mixed together as my own. It impacted how I felt and what I did on a regular basis. Because I didn’t create my own definition, I justified how I felt, told myself lies about how bad my health was and generally did a lot of settling for subpar results. In our book, we walk you through an exercise much like Matt describes below. It’s often overlooked because the pain of a hurt belly is so loud. I don’t really blame you, because I’m not sure I would have done it back when I was lying in bed fighting back tears. So, today you get some homework. Step #1: Now that the pain is less, re-read our book and do these exercises as they can change your life. When Matt approached us about doing a series regarding the bigger picture of healing your gut we thought it was an awesome idea. That makes Step #2 to open a new document and answer the questions that Matt lays out below and start to take this part of your health as serious as you take the foods in your mouth. Diet is only one big piece of the health puzzle and it is a really good idea to get some perspective every now and again. Step #3 is to share what you learn from doing these exercises in the comments below. 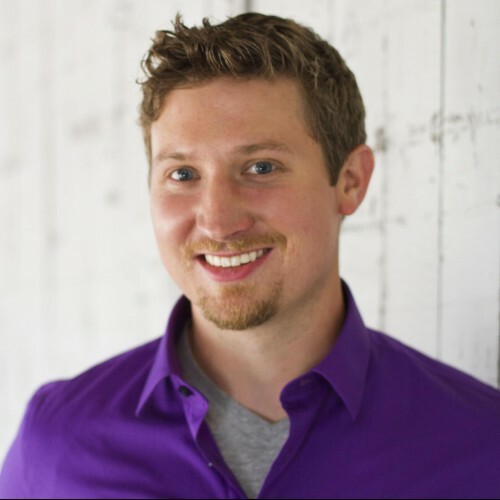 This is a guest post series from Matt Robinson, digestive illness coach at Natural Digestive Healing. That life you just experienced, those moments you just envisioned, that is the start of developing your big picture. Write it down in as clear a fashion as you can. You’ll need that for the rest of this series. The goal of this big picture series is to help you see the value of being big picture focused. I will discuss how to develop your personal big picture, why you should keep it in front of you daily, and how a big picture focus can revolutionize your healing journey. This series is designed to function as a guide; it is your own coach to help you develop a big picture healing plan. It is packed full of information. Along the way, I have inserted questions to help you think through the concepts and practicalities of developing your personal big picture healing plan. I first began to take control of my recovery from colitis in 2008 after the onset of a massive flare-up which very literally crippled me. For six months, my doctors tried everything. My gut laughed at immune suppressants, steroids, sulfa drugs and the like. Nothing would touch this flare. My doctor began to talk about taking out my colon. “This is crazy,” I thought. There has to be a better way. Maybe you have been in my shoes. Maybe you are there now. Maybe right now you are experiencing tough symptoms of Inflammatory Bowel (IBD), Celiac, IBS, or some other digestive illness. Perhaps you are reading this for someone else. Regardless of your reasons for being here, simply by reading this post, you are taking an active role in caring for your health or the health of someone you know—and that is a big step. My first real proactive step towards healing was to start the Specific Carbohydrate Diet (SCD) in early 2009. Four days after I started the diet, I noticed a positive change—four days. I had waited years for a positive change, and the SCD showed me hope on the fourth day. Now, to be realistic, it has taken me three years on the SCD, and a lot of work to get to where I am now (1 BM per day, sometimes formed, sometimes not), but I would not have gotten this far if I had not been able to keep the big picture in mind. Raise your hand if you have been there. Steve: From my experience and from our inbox this is very typical. If you’re in this place right now, then I want you to know that you’re on the right track. If you’ve been here before, then I want to urge you to take the next steps below. The things I was doing: tracking my symptoms, journaling my food and supplement intake, tracking my weight and medications, tweaking my diet—these were, and are good things. All of us should be doing them. What I lacked was a big picture approach. I was easily swayed by each tummy rumble because I had never articulated where I wanted to go (my health goal), and how I was going to get there. I had not developed a long-term healing plan. Having a plan, and seeing the big picture anchors us in those moments of panic. It helps remind us where we are going. It can teach us that using natural means like diet to heal from digestive illness—be it IBD, IBS, Celiac, Diverticulitis, or some other condition—is a long road. There are lots of bumps, setbacks, and yes, natural fluctuations in our health that will happen along the way. The big picture approach reminds us to stay the course, to look back and see how far we have come, and to anticipate the prize: a life without (or with drastically less) medication, surgery, hospitalization; a life with energy and zest. Steve: Another way of thinking about health planning is to approach it just like retirement planning. Often difficult to start, but we know that successful people figure out a way to get it done. Over the next few years… Fail to Plan – Plan to Fail. In this series, I will introduce the practicalities of maintaining a big picture view of your healing, and how that can revolutionize your outlook and potentially speed your healing. 1. A big picture view removes stress: Seeing the big picture helps us to not sweat the little things so much. So I made a mistake. Let’s figure it out and move on—I’m worlds better than I was six months ago, and in six more months I’ll be better than I am now. 2. Make peace with uncertainty: Will I ever know the cause of my illness? I just had avocado last week and I was fine, what’s up? I’m having symptoms today and didn’t change a thing; what is going on? There may be answers to these questions, and there may not. We strive to answer them, but ultimately we need to make friends with ambiguity. Think about: What uncertainty in your healing path bothers you most? How will you make peace with it? 3. Learn from Every Experience: Each time your symptoms act up, each time you eat something or take a supplement that doesn’t agree with your body; each time you get stressed and your symptoms return, your body is teaching you what it is like to be in its shoes. If you are journaling your diet and symptoms regularly, if you are mindful of your stressors, you can learn what worsens your symptoms and what helps you heal. It takes time and some effort, but those who do this well have a higher healing potential. Think about: What experiences have you had in the last month from which you can learn about your body? Write them down. 4. Learn from everyone you can: Everyone has different styles of learning. If you are a reader, read everything you can. If you are a doer, experiment and take copious notes. Compare them with others. If you learn best through interaction, make every effort to meet people with digestive illness who are using natural means to heal. Establish relationships, ask questions, learn from each other. Think about: What will you learn this week? Make a commitment to learn something new or reach out to someone to help you on your way to healing. 5. Give Yourself Permission to fail: You perfectionists…you know what I’m talking about. It is tough to fail in this arena because it hurts more than your ego. Think about: Failure and mistakes are part of the game. What one step can you do today to help give yourself permission to fail? 6. Utilize Support: No one can do this alone; no one. There are thousands of people in the U.S. alone who are using the SCD and other natural means to heal from digestive illness. We are here for you. Think about: Do you have a good support network? What can you do improve the support around you? 7. Set realistic expectations: When I first began the SCD in 2009, I expected to be back on my normal beer and pizza diet in a year—9 months if I was good. I read three or four stories of people healing on SCD in a year or two, and immediately thought that would be me. That may very well be some people’s story, but at least for colitis, it does not reflect the majority of people’s stories. The majority of people with IBD take at least half as long to heal as they have been sick. In 2009 when I started the SCD, I had been living with colitis for at least seven years. By this more realistic rubric, I should be back to normal in 3-4 years. And you know what? I’m 3.5 years into the SCD and am just now beginning to feel truly normal. Think about: What are your expectations? Write them out. Are they realistic? Which of them need to change? 8. Enjoy Life: Digestive illness is overwhelming at times, sad at times, and frustrating at times. But that is just a part of life. Sometimes I get so consumed with healing that I miss the simple beauty of family and friends, of spring warmth, or hot lemon tea in the winter. Think about: What can you do today to enjoy and celebrate life? Just as often, these urgent “needs” are not needs at all but desires. “Helminths worked for my friend, Joe.” “I just really want to have a beer. I feel like a social outcast.” These desires seem urgent for very valid reasons, but where do they rank in importance when thinking about healing your body? And remember, healing your body is the truest path to a symptom-free life. The tyranny of the urgent is that, if we are not careful, it can take our focus away from what is truly important. For example, what do you do with all of those new natural treatments about which you are learning? “What about L-glutamine, probiotics, and helminthic therapy?” With each new idea comes some promise of healing, and some new hope—I’ve been there. But even the best treatment (natural or otherwise), when carried out with impatience, or employed at the wrong time or for the wrong duration, can fail. The best way to keep the urgent in check is to have a big picture plan. Quickly, let’s go back to the very beginning of my SCD days. About five months into the SCD I had an increase in symptoms, a mini-flare. I did panic initially, but then I remembered “The Plan.” Reviewing my big picture healing plan with my wife helped me relax and take a more rational view of the situation. If I had abandoned the SCD in an urgent frenzy to stop the flare, who knows where I would be now. Having balanced a plan helps us to stay the course. Think about: Outline your most urgent healing needs of today (those that speak most loudly to you)? Now outline your body’s long-term needs. How do they differ? Try and set them in priority order. One of the most effective functions of planning a healing path is that it helps us set priorities. 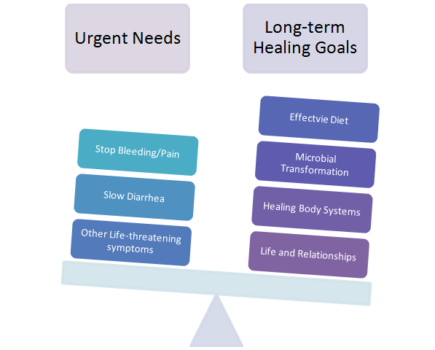 In developing a big picture healing plan, it is important to prioritize the most effective healing modalities first, before you layer other treatments with them. People heal in layers. Address the most effective treatments first and give them time to work. Do them right, and you may not need anything else. Below, I introduce my prioritization scheme. In coaching, this pyramid is how I approach layering natural methods for digestive illness, and it is the model I use for myself. 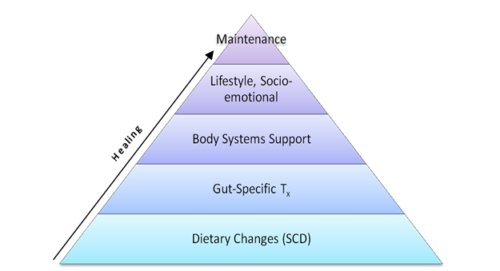 Notice that “Dietary Changes” are the base of the pyramid. From my experience, changing diet to address digestive illness is the most effective natural healing method, and it is foundational to healing. Not only can an effective diet like the SCD help to heal your gut, but it also augments the effectiveness of other proven modalities like probiotics, digestive enzymes, and natural anti-microbials. Diet can even increase the effectiveness of pharmaceutical treatments such as corticosteroids, sulfa drugs, and TNF inhibitors. Think about: What treatments are you using now to heal? 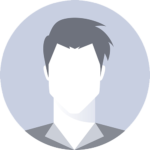 How have you prioritized the addition of treatments? What role does diet play for you now? In the next post, we will use the concepts of Balance and setting Priorities to look at what it takes to develop a big picture healing plan and how that plan can help you. Great Article. I am on day 2 of my new lifestyle journey. I feel better already and woke up ready to start my day. I know it will be a lot of work and it will take the rest of my life to keep things in check. It is just nice to know that other people know and understand where I am coming from. Some people just don’t understand and say harsh things like, “If I had to eat like that I would just not want to live”. That does not make it any easier for me. I then feel alienated. Anyway, I am glad I found this site. Maureen–I had the same experience. I was so frustrated that results weren’t coming sooner, but I never asked, “how soon should they come for ME?” Once I looked at that, I started to relax. Maree–Lucy at Lucy’s Kitchen took 5 years to be symptom free. I’m going on 3 years and still have some symptoms. Sounds like you have a good perspective. Stay strong and surround yourself with good people. I’m not a fatalist but whenever I am feeling ‘where is this all going, why aren’t I getting faster results?’ you guys come along with just the right information. When I started SCD/GAPS there seemed to be a promise of ‘You will see amazing improvement/differences in no time!’ Well, it took a while for me to find the more successful path for my Crohn’s after a horrible decline into chronic diarrhea for a few weeks on intro. I’m now 4 months in, I’m getting subtle hints about when I will be getting back to work but still have 6’s and often urgent BM’s. I need to read you stories that tell you’ve been going a year and now have 1 BM, sometimes formed sometimes not. That has been the most encouragement I have had for a while. 4 months is probably still a baby step, I know, and my big picture is to pay as much attention to ME as I can for optimum healing. Taking detours from the safe zone usually means a set-back but I can always get back on track. Reading your article really helps to take the focus off the ‘now’ and gives a gentle reminder that healing takes time and normality will happen. Thank you for sharing and your constant reminder of hope. @ Maree – Your are so strong! Keep your focus and you’ll keep see better and better health. This is such a great article and just what I need to hear. I have been on SCD for 9 1/2 months now and I think I keep tripping myself up with unreasonable expectations. I am feeling amazing, but I still get frustrated by minor setbacks and the slowness of the healing process. I like Matt analysis about healing taking half the time you have been sick. I have been dealing with gut issues for over 16 years and was on PPI’s for over 9 years, so healing is not happening over night. I know it won’t take me 8 years to heal, but it is going to take longer than 9 months or even a year! Thanks for reminding me to look at the big picture! @ Maureen – Your Welcome and keep up the hard work, your making amazing progress considering your history!